I love being a Surrey & Berkshire wedding photographer – not only do I get to meet many lovely & interesting couples, but also get to meet other fantastic and talented photographers. Back in March I got to meet the lovely Maria T Michael from Detheo Photography. We got on so well that we decided to organise a bridal shoot together. What started off as a rather small idea ended up getting great local support. 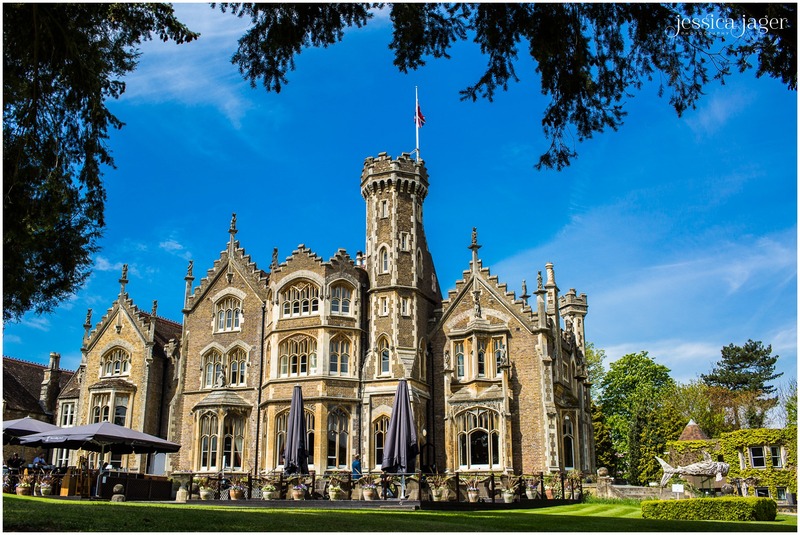 I am so grateful to Jake and Fransesca from the Oakley Court hotel for buying into the idea and letting us use the beautiful hotel and grounds. They kindly provided us with a beautiful suite for the day, as well as a lovely lunch out on the terrace. 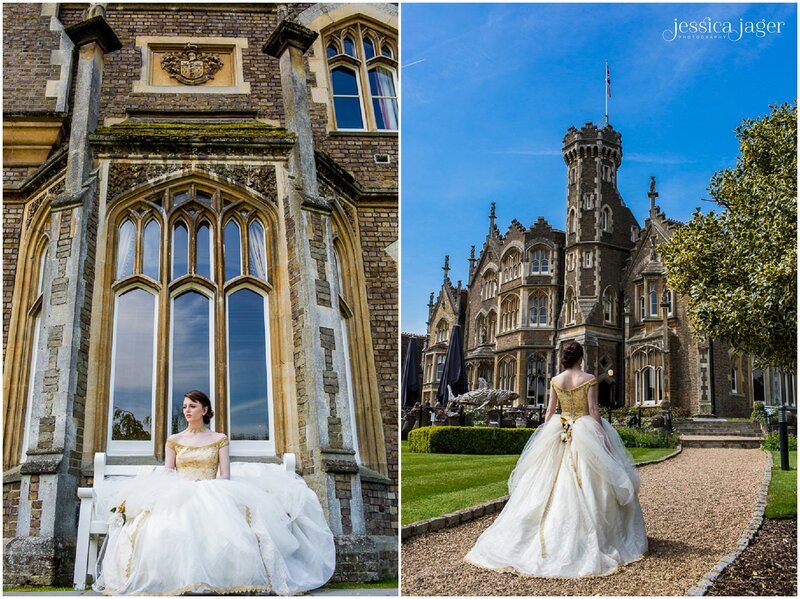 Oakley Court hotel is such a wonderful venue! There were so many interesting places to use for photography, and we barely scratched the surface in the time we had! 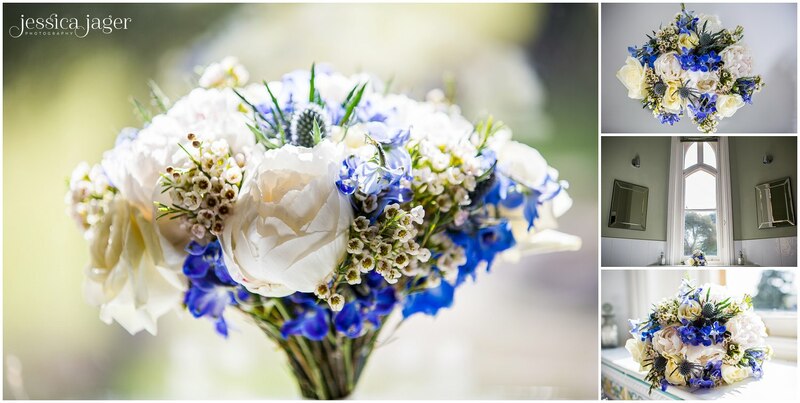 Many thanks go to Ashleigh Ryan of Tangerine and Green in Englefield Green for providing the beautiful bouquet of blue thistle and peonies and to Marcela of the Hair Advice Centre for styling Christine’s hair so beautifully. Christine Statham, thank you for being a fantastic model and for working so hard the whole day – you are beautiful! Maria, thanks for your friendship – I had so much fun working with you that day. It was a brilliant day and I agree we barely scratched the surface of this stunning venue. Our deepest gratitude to the team at the Oakley Court for their kindness, support and generosity. Looking forward to our next shoot Jessica Jager.